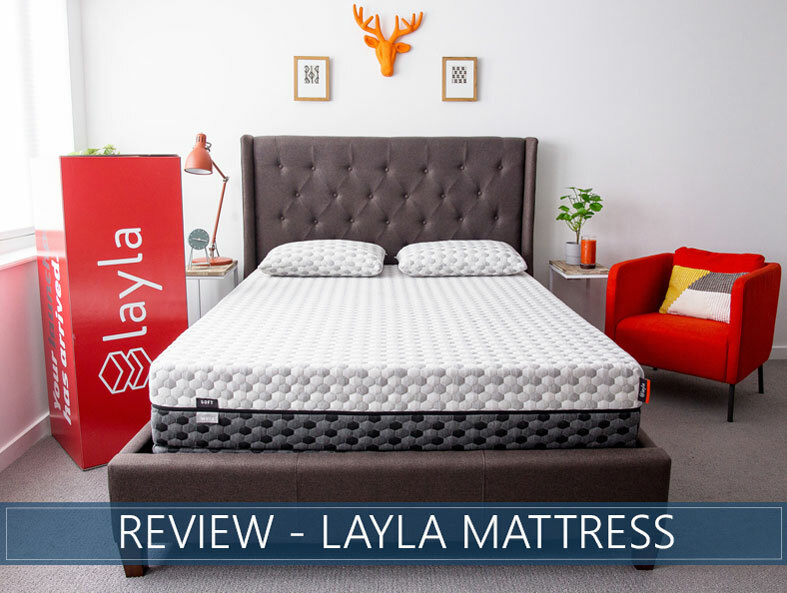 Layla Mattress Review - A Good Dual-Firmness Option for 2019? Copper may not be the first thing you imagine when you are dreaming of a comfortable new bed, but we think it’s a really “cool” addition to memory bed technology. Layla’s unique dual-sided copper-infused memory bed promotes temperature regulation while supplying amazing pressure relief. 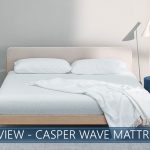 Our in-depth Layla mattress review showcases a company that places a high value on using copper for its conductivity and supportive features and a brand that backs up their product with a Lifetime Warranty. 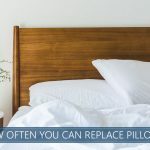 With Layla, you are essentially getting two for the price of one: Soft on one side if you want a softer pressure-relieving sleep, or flip it over and try out the Firm for a more supportive feel. This versatile bed and its proprietary gels in the cover and highly conductive copper in the foams can give you the deep-hugging comfort of memory beds with much less heat retention compared to similar brands. Keep reading for a rundown on pressure relief, comfort, support, and quality, or skip all that and get straight to our scoring and summary. Click the button below and use our coupon code "SLEEPADVISOR" at checkout. We are updating our video soon, so stay tuned! 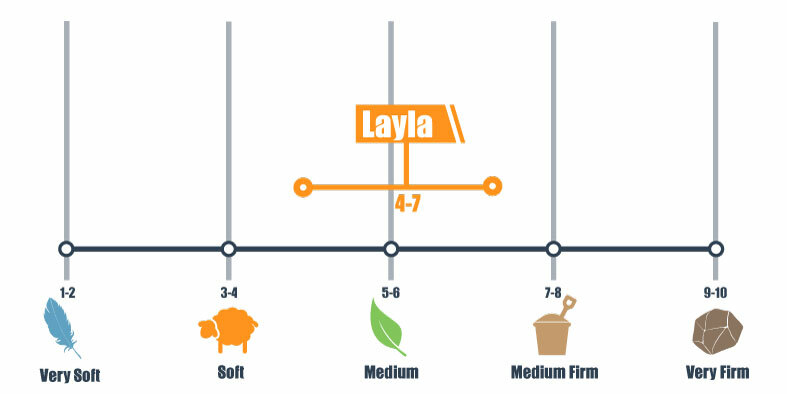 Are not sure which firmness level you need – Layla is double-sided, with Soft and Firm sides. By designing one bed with two firmness levels, you can discover the type of support and pressure relief that suits your body best. The brand provides a generous risk-free 120-night trial period to help you decide if their product is the right fit. Need pressure relief – Soft side up, this product really excels in relieving pressure along all of your body’s heaviest points with the deep cradling of memory foam. Firmer supportive layers underneath will help ensure that your spine remains in neutral alignment. Sleep hot – The cover is infused with the company’s proprietary cooling ThermoGel®, and the first layer of memory foam incorporates copper, a “thermal superhighway.” Both work together to noticeably reduce heat retention, which is often associated with traditional memory materials. Do not like memory foam – This bed really delivers on all the advantages that make memory products great, including pressure relief and contouring, and has added features to reduce heat retention. However, people who are looking for more bounce and prefer to sleep on the top of their mattress may not appreciate the deep hug of Layla, especially when turned to its Soft side. Do you want to see more mattresses that we review? Click here for our full list. Or check out our Top 12 list here. Layla is a memory bed-in-a-box option that works with a variety of different foundations or slatted bed frames and is adjustable base compatible. There is a foundation designed specifically for this mattress available through the company’s website. The fully-removable cover has a top that is a polyester/viscose/lycra blend infused with cooling ThermoGel®, which is activated when it comes into contact with moisture. These proprietary soft and durable materials are noticeably cooler to the touch. The newly updated cover with a sleek hexagon design clearly designates which firmness is facing up, taking the guesswork out of which feel you're experiencing. The cover also can be dry cleaned, which is a great feature, and replacement covers are available for purchase through the website. For the purposes of this review, we will take you through the layers as they are stacked when Layla is Soft side up. If you flip it to the Firm side, the fourth layer becomes the first. The first layer is 3 inches of copper-infused memory foam for contouring and comfort. Copper, which is both antimicrobial and a highly efficient heat conductor, helps keep the mattress cool and germ-free. In addition, the copper cells in the foam firm up under pressure so that heavy parts of the body receive both pressure relief and additional support from this unique material. The second layer is 2 inches of convoluted Air Flow support foam, which resemble what we recognize as an egg crate shape. This layer promotes airflow that helps the temperature of the mattress remain regulated while providing additional pressure relief and support. The third layer is a 4.5-inch thick foam that forms the mattress’ foundation and delivers Layla’s main source of support for the sleeper. The fourth layer is a 1-inch layer of the same copper-infused foam used in the first layer that provides contouring and comfort when the mattress is flipped over. Layla is delivered with the Soft foams facing up, and we scored this at a 4 out of 10 on our firmness scale, with 10 being the firmest. Flipping it over, the Firm side scored a 7 out 10. On both sides, Layla offers a classic memory bed feel that cradles the body’s curves while providing good support. If you wake up on firmer mattresses feeling pain in pressure points like your hips, back, and knees, you will likely love waking up in memory foam. The pressure relief of this product truly excels, especially on the Soft side. Like many beds in the memory space, there is next to no bounce. That said, the response time – or the amount of time the foam requires to regain its shape once pressure is released – is relatively quick compared to other memory beds, but does not snap immediately back into place, and your weight is well-supported by the base foam. The Soft foams really cradle your body in a deep and cozy hug. Either side of Layla will accommodate a variety of sleep positions, however, if you are an active (combination) sleeper and ease of repositioning is exceptionally important to you, you may want to try the Firm side for additional ease of repositioning. Most back sleepers should feel comfortable on the bed’s Soft foams where the additional memory materials will hug the curve of the lower back while the base layer of foam supports good spine alignment. That said, someone who is substantially heavier may sink too deep in the Soft foams and sleep more comfortably on the Firm. Stomach sleepers will probably prefer the Firm side of this mattress because their hips may sink too deeply into the Soft side, which can cause the spine to fall out of neutral alignment. Significantly lighter stomach sleepers, however, may be adequately supported by the Soft side. Side sleepers should feel exceptionally well-accommodated on the Soft side, which really delivers pressure relief to the hips and shoulders. Side sleepers tend to experience additional pressure because their body weight is concentrated on a smaller surface area. Overall, Layla is a really versatile mattress that can deliver benefits for a wide range of body types and sleep preferences. Layla really delivers in motion isolation, where memory foam beds are known to perform extremely well. Jumping or simply getting in and out of bed produces a very minimal transfer of movement from one part to the other. This is important to consider for couples who sleep light and have different sleeping schedules. You should sleep undisturbed by your partner moving around in this bed. This bed holds up really well in the edge support category compared to other memory products. There is some compression that is noticeable when you are sitting on the edge, but when lying on the side, you will not feel like you’re going to roll out. This is due to the 4.5 inches of support foam to the acting base layer. If you share your bed, you probably occupy more of the bed’s surface area, which means you will want to make sure the bed’s support holds up, even at the edges. Layla’s unique copper-infused memory foam will keep you cool and comfortable while you sleep. Ancient Egyptians used copper to treat wounds and cure disease, and many believe in the medicinal qualities of copper to this day, claiming it improves circulation and relieves headaches. We are certainly not experts on that, but we can tell you that Layla is remarkably comfortable and both its cover and its foams are specially designed to keep you cool. For memory bed lovers who need good pressure relief, it’s hard to find a better value than the Layla, especially with their two fully-integrated firmness options for added versatility that is backed by a Lifetime Warranty. This kind of innovative technology and long-term value could cost you thousands of dollars in a retail store but is available online in a queen for $899. If you’ve been wanting to try to memory foam but are worried about sleeping too hot, Layla might just be the bed you’ve been looking for. Use our SLEEPADVISOR coupon code to get $100 off. I use a Richway Biomat 7000 MX on my current memory foam mattress for about 3 years(it uses infrared heat) I have not had any issues with my mattress and the heat. My current mattress is 10″ memory foam with a bamboo topper. Not overheating issues. What would adding infrared heat on this bed do to it? Is it ok to use the infrared heat on the gel layer with the copper coils? Hi Kristy. There’s actually no coils in this bed. The copper that is included is infused into the foam for enhanced cooling properties. As to how an infrared heating pad will work with this mattress, we recommend discussing your concerns directly with the manufacturer as they can give you the most up-to-date information. Thanks for reaching out and best of luck to you!